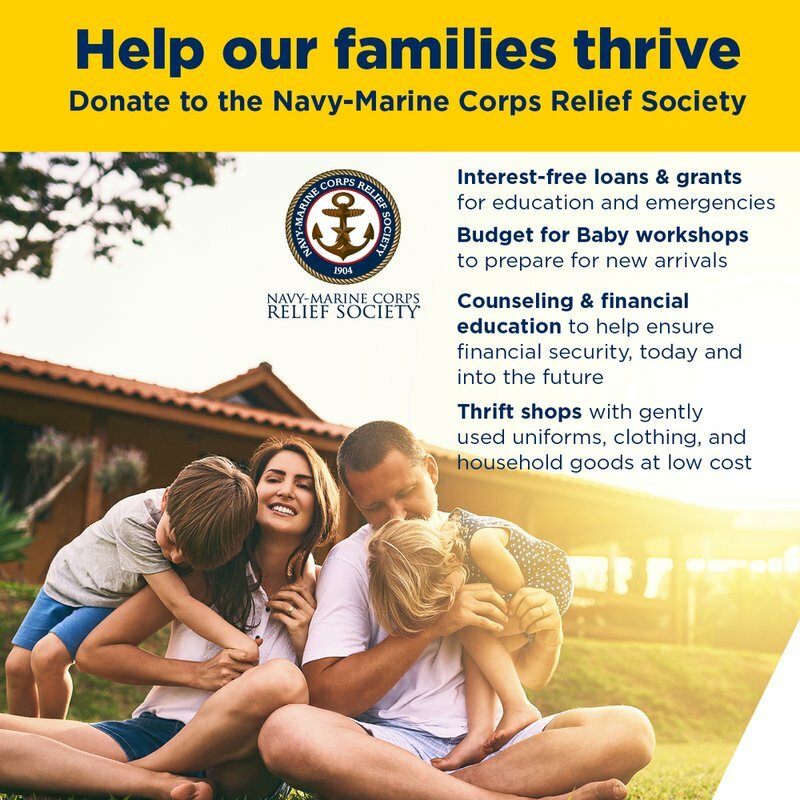 Donate to the Navy-Marine Corps relief society by purchasing a $5 NMCR donation card. Counseling & financial education to help ensure financial security, today and into the future. 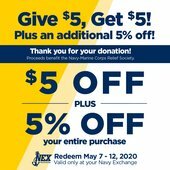 *Coupon valid for one time use in-store only. Limited to $1,000 total discount. Coupon cannot be combined with any other NEX discount cards, NEX coupons or other MCX and Glamorama coupons. Percentage off not valid on existing layaways, previous purchases, price adjustments, True Blue Deals, WOW! Deals, uniforms, Nike Jordan shoes and apparel, Rolex watches, Gatorz sunglasses, gasoline, tobacco, alcohol, gift cards, prepaid cards, Apple Care, patio furniture, infant furniture, Ready To Assemble furniture, Guardsman plans, Home Delivery or installation, Keep It New, concession merchandise, consignment cookware (Eurocast or Twin Towers Trading), firearms, ammunition, or electronic items including cameras, computers, televisions, tablets, video games and systems, DVDs and CDs. May be used with Military Star Card offers and manufacturer coupons. No Cash Value. Nontransferable. 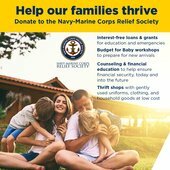 *+ Excludes Military Clothing/Footwear/Furnishings, Below Deck, Cosmetics, Fragrances, Luxe Gallery and What Goes Around Comes Around Handbags, Optical Sunglasses, Smart & Fitness Watches.